Contactlenses.co.uk | Contactlenses.co.uk The One-Stop Shop bringing you up to date Contact lens News. Movember is more than a month, it’s a movement, for some years now we have all been aware that November is the month for men to forego shaving and grow impressive ‘taches and beards, but why? Its start was low key, just Travis and Luke and around 30 mates in Australia who agreed to pay $10 each to raise awareness of men’s health, from those humble beginnings the Movember Foundation was formed and is now one of the top 50 NGO’s (Non-Governmental Organisations) and by 2017 (most recent records) there were 5,542,507 Mo Bros and Mo Sistas and 23 countries getting involved. So what should you do in Movember? Or, grow a Mo to save a Bro – that’s right no shaving your ‘tashe for a whole month. Stop shaving and start to grow, Let your Mo take the spotlight, and start conversations. Make it count, ask friends, family and colleagues to support your Mo. Together, we can stop men dying too young. If you can’t grow then donate to someone who’s giving it a go. If you are aged between 40-74 with no history of stroke, heart disease, diabetes etc then the NHS recommends you get a health check every 5 years, so don’t delay book yours today. Also it’s a good idea to have your eyes checked 2 yearly – or yearly check ups if you are a contact lens wearer. Optician check more than just your eye health and vision, they can detect early signs of diabetes, high blood pressure, high cholesterol, arthritis, Alzheimer’s and tumours! It can be tough for men to ask for help but if you don’t ask when you need it, things generally only get worse. Have a great Movember and remember if you can’t grow a Mo then support someone who can. Halloween is one date in the calendar that has become more and more popular with being celebrated. With the ever increasing popularity of social media comes the need to outdo and improve on last years costume. Unfortunately gone are the days of just throwing on a black plastic bin bag and a witches hat. We now make more and more effort with dressing up for Halloween and the seasonal holidays. A fun and effective way to do this is by wearing a special effects lens. As always with wearing lenses, there are important things to consider to make sure you are doing so safely. We would always recommend that you only order Crazy Fx lenses if your optician /eye doctor has confirmed you are suitable to wear them and you are up to date with your eye exams. You may think it is a good idea to allow someone else to put your lenses in to ‘see what they look like’ however this can be a potential danger to your eye health and contact with someone else’s bacteria can lead to serious eye infections. As tempting as it might be, please make sure you do not over wear your Crazy Fx lenses. Personally if I know I will be wearing my lenses on an evening for a long period of time, I try to wear my glasses during the day to give my eyes a rest, That way, you are more likely to feel more comfortable for longer when wearing your lenses. It is not uncommon for lenses to become uncomfortable for a new or infrequent wearer. So don’t get caught out, take your lens case and solution so if need be, you can safely and hygienically store your Crazy Fx lenses. Do not be tempted to sleep in your lenses, or the following morning you might look like something from American horror story and in a lot of discomfort. Have fun experimenting with your look, even by wearing one lens and your normal everyday clothes can have an amazing effect, and can be even more creepy and head turning. If wearing makeup, always insert lenses before applying it. It’s important we ask ourselves, what do we know about our babies eyes? What can they see? How do I know if they have any eye health issues? Below we answer a few of those questions. It’s a well known fact that a majority of Caucasian babies are born with blue eyes, this is down to a lack of melanin in their irises, however, did you know that the melanin levels can increase and can take up to 12 months before a baby forms it’s true permanent eye colour. Well OK ,they can make a lot of noise that sounds like crying but it’s not until they are about 4 weeks old that a baby actually shed any tears. This is because until then, their tear ducts have not fully formed. Your newborn baby’s eyes will be checked shortly after birth as part of their newborn physical examination. However, from then on it’s good to know what to expect from your baby and their vision. A newborn baby can see but their vision isn’t very focused and is fuzzy. They can make out light, shapes and movement! A baby’s eyesight only develops gradually over the first few months when they start to focus more and see colour. To help support the development of your baby’s vision it is suggested showing them black and white images with simple lines and bold patterns as they are easier for babies to see. The bold images stand out against the blurry world around them. Images can be found in books, hanging mobiles or on toy’s and it’s a perfect way to play and interact with your baby whilst helping them develop their focus and vision. 6. When should I get my baby’s eyes checked? It’s a good idea to have your baby’s eyes examined by your local optometrists at about 12 months. Using sophisticated techniques, specific for babies, they can detect early signs of conditions like long-sightedness (hypermetropia/hyperopia) and short-sightedness (myopia) and check the health of your babies eyes. Are contact lenses better than glasses, we like to think so. Don’t get us wrong, contact lenses are not the perfect answer for everyone but they definitely have some great plus points. Everyone hates glasses misting or fogging up when the temperature changes, either opening entering a warm room from the cold, just after an intensive work out or the oven door. With contact lenses the whole range of sunglasses is open to you, simply pick the ones you love instead of being limited to the few pairs designed to go over your glasses – whoever found a pair of them they actually wanted to wear. There could have been a point 11 as who knows the future of contact lenses, with augmented reality getting closer by the day we are sure contact lenses will be an important part of everyone’s life, whether they need to correct their vision or not. Just as with your glasses – the optician took fitting measurements such as pupil distance (PD) bridge width, and the length of arm needed. The same goes for contact lenses, because the lenses sit directly on your eye, the optician needs accurate measurements of the diameter (Dia) and the base curve of your eye (BC). You could also find the power of your lenses differ to those of your glasses. A well fitted contact lens should not just fall out. All contact lenses pose an increased risk of infection and irritability if worn overnight or whilst napping, but for many contact lens wearers a short nap appears to pose no significant threat, but be aware of your eye health after waking, if your eyes feel dry or irritable try comfort drops or remove the lenses and give your eyes a break. If you regularly sleep in your lenses you could speak to your optician about extended wear lenses, and make sure you have your regular contact lens check ups. Monthly lenses can appear cheaper Crystal Monthly only cost £30 for 12 pairs, but the cost of a premium lens such as Air Optix Aqua can be as much as £124. However, it’s not quite that simple as you need to add on the cost of solutions, this could add approximately £110 based on Optifree Replenish Twin Pack. It’s worth baring in mind that the price of your contact lenses are spread out over 6-12 smaller payments throughout the year, whereas with glasses it’s one large payment up front. Can I recycle my contact lenses? We are all involved in recycling – card, paper, aluminium cans, plastics (where possible) etc. but what do we do about our contact lenses? Disposable contact lenses are now the most popular type of lenses since their introduction in 1987 and with over 3.5 million wearers in the UK alone, that’s a lot of potential waste. Disposable lenses are typically made of silicone-hydrogel, which, like most plastics, does not biodegrade making them unsuitable for compost or recycling. But it’s not all bad news many parts of your contact lens supply are recyclable. As you can imagine not all of these parts can be recycled the same way, let’s address them individually. Many contact lens companies and opticians deliver contact lenses direct to your door, in almost all cases the delivery box is recyclable, simply flatten the delivery box and put it in the recycle container. Almost all contact lenses have an outer protective box, this has muliple purposes, it is a great advertising tool, it reminding you what lenses you are wearing, their Power, Base Curve and Diameter, plus they keep your lenses together whether for 1, 3 or 6 months. These outer boxes are easy to recycle, just like the delivery box, when you have finished your lenses simply flatten the box and put it in the recycling bin. These hold the lenses themselves and are not so simple, as you are probably aware they consist of two parts, the foil “lid” and the plastic container. The foil lid, unfortunately, is not currently recyclable, so this part has to be placed in your general waste bin. If you look very closely at the plastic blister you will see the recycle logo with pp05 or pp5 this means the plastic container is made of Polypropylene (PP) which is one of the safer kinds of plastics. It is increasingly getting accepted in curbside recycling programmes. If in doubt check with your local recyclers. For US and Australian contact lens wearers Bausch and Lomb and TerraCycle run the One by One recycling program, whereby you can send Bausch and Lomb any brand of contact lens blisters free of charge and they will recycle them for you. Scientists are currently working on a soy-based biodegradable contact lens, but that technology is still a few years away. In the meantime, we are stuck with the silicone/hydrogel lenses, these are currently not recyclable. In an effort to reduce plastic pollution, researchers in the US have been investigating the final journey made by disposable contact lenses. The study found that approximately 15-20 percent of contact lens wearers in the US dispose of their contact lenses down the sink or toilet. Researchers tested 11 types of contact lenses and found that while some of the intact lenses are trapped by filters in sewage treatment plants, lenses can fragment into tiny particles which slip through the filters, and contribute to the microplastics already floating around in the world’s oceans. Disposable contact lenses should be disposed of in the general waste bin and not down the toilet or sink. So are contact lenses recyclable? You can definitely recycle much of the contact lens packaging but unfortunately not the lenses themselves. What can you do to reduce contact lens waste? It’s been said you could switch to two weekly or monthly lenses, however, when researchers at Johnson and Johnson looked at daily disposables, which do not require cleaning, and monthly disposables, which are cleaned and stored at night requiring, solution bottles and storage cases they found that a pair of daily disposable contact lenses worn 365 days per year produces 1kg of waste annually, comparatively, reusable contact lenses plus care solutions produced 0.84kg of packaging waste yearly. So not a huge difference. Switching to glasses does not necessarily save the environment with some studies suggesting the raw material in a pair of glasses can be equivalent to 4 years worth of daily disposable lenses, however, on average people wear glasses for over 2 years before replacing them. If you are looking at switching to glasses check out environmentally friendly companies such as greeneyewear who use environmentally friendly acetates in their frames. Our contact lenses will definitely save you money right now. But, they will not help you see or smell as well as these wild canines. 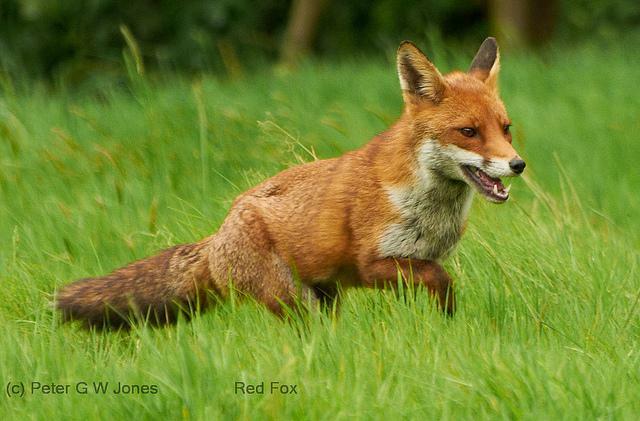 Big blue eyes, pointy nose, chasing mice and digging holes… The Red Fox used to be known for being sly up until 2013. Now everyone just wants to know what he says. These Australian canines communicate with moans, barks, howls and snorts. 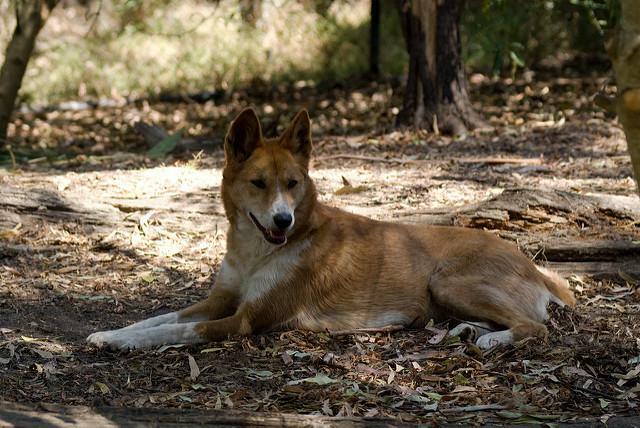 The Dingos from down under are credited by many Australians for the extinction of the Tasmanian Tiger in the mainland. 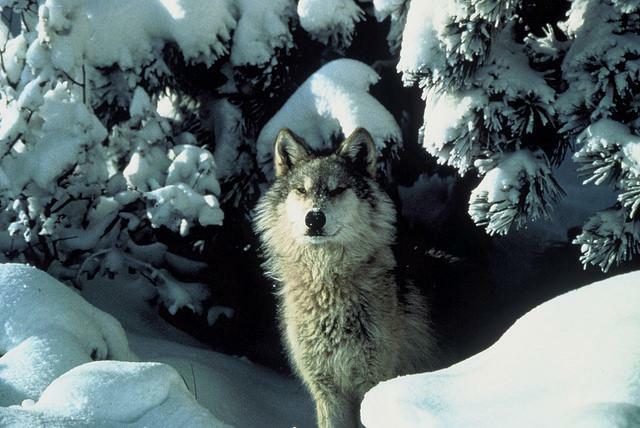 Also called the Timber Wolf, the Gray Wolf is an avid hunter. Despite what you see in the movies, they avoid humans at all costs. 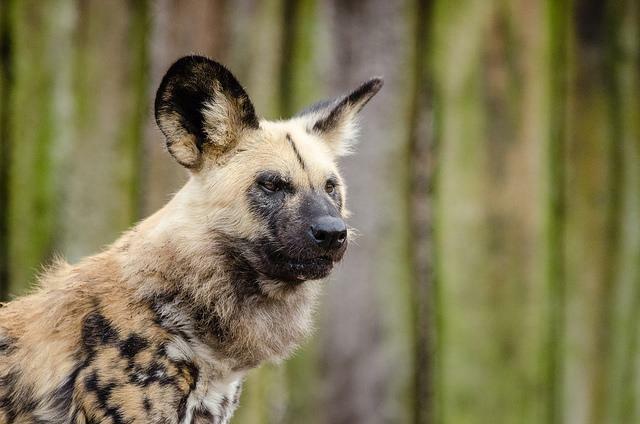 Long credited for being an ancient ancestor to the modern dog, new DNA testing shows otherwise. Native to North America, these monogamous animals cackle and howl. 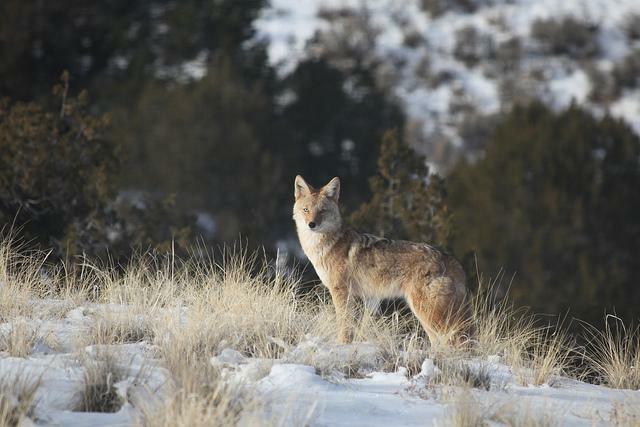 Three coyotes can sound like 50. Sometimes they work together to trick or trap prey larger than themselves. These social pooches are painted all sorts of colours and chase many of their prey, such as antelope, until it collapses in exhaustion. Then they kill it and let their pups eat first. 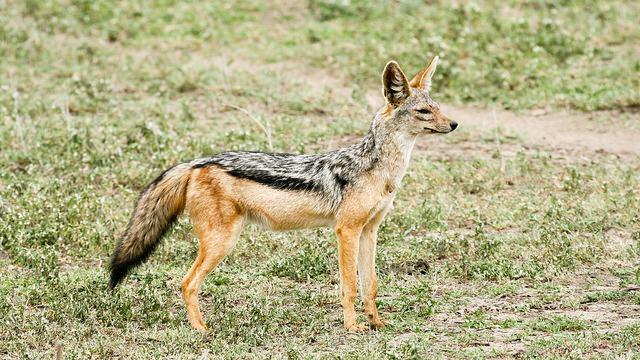 There are many different types of Jackals. These animals of opportunity have been bred with other dogs such as poodles, often with very poor results, which is good, otherwise we would have Jackadoodles marking their territories and dragging carcasses around.